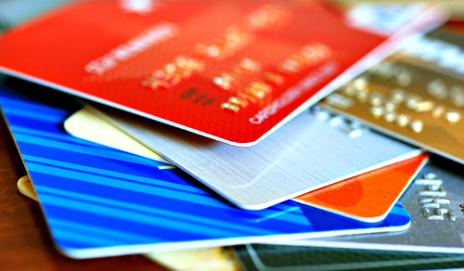 Would you apply for a credit card that charges £15 a month to borrow one penny? I certainly wouldn’t. And yet, the new Shout credit card does just that. In fact, it’ll even charge you for not spending. Unusually for a credit card, the new Shout card from Raphael’s Bank charges no interest or default fees. However, it does come with some hefty fees depending on how much you borrow. In fact, you’ll have to pay £3.50 even if you don’t spend anything at all. If you spend between one penny and £100, you’ll pay a charge of £15. But spend a penny more than £100? That’ll cost you £30 a month in fees. And so it goes on. The leap in fees as you tip into the next credit bracket risks encouraging irresponsible borrowing. For example, if I’m buying an item for £101, I might as well spend an extra £99 on my card that month as it won’t cost me any extra in fees. But it may well cause future problems when I can’t afford to repay the increased debt. If you have a poor credit history, several credit card providers offer cards with an Annual Percentage Rate of up to 40% and no annual or monthly fees. While the interest rate looks high, you can rebuild your credit rating and avoid paying any interest just by clearing your bill in full every month. The new Shout card card is yet another product of the growing high-cost credit market. And with a £30 monthly fee for borrowing £101, it charges more than most payday lenders. The Shout card also offers unlimited rollovers at payday loan interest rates, further encouraging irresponsible borrowing. Our report on credit in March found that an increasing number of people are using high-cost credit to pay for daily essentials like rent, food and utilities, with many also using it to repay existing credit. We’re calling for the Financial Conduct Authority to crack down on irresponsible lending across the whole credit market when it takes over its regulation in 2014. I’m all in favour of mainstream providers developing affordable alternatives to payday loans and fervently hope they will. However, the new Shout card isn’t the answer I was hoping for. Would you be tempted to take out a Shout card?